Unkept property and not a safe neighborhood.submitted by Erica D. - Mar 11, 2019 |Recommended: NoYou should look for somewhere else to live. It's not safe, the police are an everyday, all day presence. The management does nothing to make it safe. Maintenance does patch work instead of fixing the actual problem so you'll see them often because nothing is ever truly fixed. The property manager will tell you she is sending someone to fix something and then no one will ever show up without you having to call multiple times. The hallways and laundry rooms are hangout spots for the unruly teenagers in the neighborhood. The security doors are never working and not checked regularly. response from property - Mar 12, 2019 Erica, thank you for sharing your observations and concerns in regards to your home at The Fairways. Safety, security, and honesty are high priority for us and we are sad to hear you feel otherwise. Please reach out to our Resident Satisfaction Manager at (414) 274-8250 or email fredcares@fred-inc.com if problems persist. Thank you for your residency with us. response from property - Mar 05, 2019 Thank you, Lakaeshia, for recommending The Fairways. We are disappointed to see your 2-star rating and want you to know we are here to serve you in any way we can. Please let us know if you or your home need anything! We want you to have nothing less than a 5-star experience! response from property - Feb 28, 2019 Ivan, thank you for recommending The Fairways. We would love to get your input on how we can improve and serve you best. Please stop by our office or feel free to call our Resident Satisfaction Manager at (414) 274-8250 or email fredcares@fred-inc.com. We are looking forward to hearing from you and thank you for your residency with us. response from property - Jan 02, 2019 Hi Karrie, thank you for the review. Our goal is for our residents to love where they live! We are here to serve you and would love to speak with you directly to address any concerns you may have. Please call our resident Satisfaction Manager at (414) 274-8250 or email fredcares@fred-inc.com. Thank you. Just here til I movesubmitted by Elizabeth B. - Dec 18, 2018 |Recommended: NoNothing was done when we moved in, so things have gotten worse. Neighborhood is full of rude people that I won't even let my older kids play outside by them selves. Yet other parts of the neighborhood are just fine. response from property - Jan 02, 2019 Elizabeth, we are sorry that you feel this way about your home at The Fairways. We want all of our residents to have a 5-star experience. Please call our Resident Satisfaction Manager at (414) 274-8250 or email fredcares@fred-inc.com to speak with a supervisor who can address your concerns. We are looking forward to speaking with you soon! response from property - Nov 13, 2018 Thanks for reviewing us, Racheal. If there is anything we can do to make your experience 5-stars, please let us know! Thanks for your residency with us! response from property - Nov 13, 2018 Thank you, John, for reviewing your experience at The Fairways! We love our team here - thanks for recommending us! Rhonda Washingtonsubmitted by Carolyn C. - Nov 09, 2018 |Recommended: YesRhonda was very friendly and helpful. She made me feel like i was family. I would recommend Rhonda and the fairways to anybody looking for an apartment. response from property - Nov 13, 2018 Thank you for the great review, Carolyn! We love our team here at The Fairways and are so glad Ronda was able to assist you. Let us know if we can help you in any way! It was okaysubmitted by Sherry L. - Oct 03, 2018 |Recommended: YesMaintenance problems are solved in a timely manner. Grounds need better upkeep and more dumpsters are needed by 2325 Traceway. response from property - Oct 04, 2018 Hi Sherry. Thank you for reviewing your home at The Fairways. We value your feedback and will make sure to look into your concerns in regards to the grounds keeping and dumpsters. If you would like to speak to someone about your concerns, please call our Resident Satisfaction Manager at (414) 274-8250 or email fredcares@fred-inc.com. Thank you! response from property - Sep 11, 2018 Thanks for the awesome review, KW! We are so happy that you get to call Fairways your home! Our residents are our #1 priority and we couldn't be successful without them! Please let us know if you need anything at all during your residency with us! response from property - Sep 06, 2018 Hi Rikki, thank you for the fantastic review! We really appreciate you and your kind words! We are here to serve you and are happy to hear you are so looking forward to moving in soon! 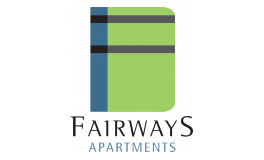 If there is anything at all you need for your home here at The Fairways, please let us know! response from property - Aug 30, 2018 Hi Aisha! Thank you for the 5-star review! If there is anything we can do to make your residency with us better than "okay", please let us know! We are here to serve you! The worst unethical apartment complex eversubmitted by Jammie F. - Aug 24, 2018 |Recommended: NoI would say NEVER move here, and get a home security system. response from property - Sep 21, 2018 Hi Jammie, thank you for sharing a brief review with us. We value our residents and their concerns and would appreciate a chance to speak with you regarding the circumstances that prompted your review. Please contact our Resident Satisfaction Manager at (414) 274-8250 or fredcares@fred-inc.com. Thank you in advance for allowing us to work through your concerns with you. response from property - Aug 09, 2018 Hey Danika, thanks for the review. We want to make sure your residency is a 5-star experience! Our resident Satisfaction Manager is available to speak to you over the phone Monday-Friday from 8am-5pm at (414) 274-8250 or via email anytime at fredcares@fred-inc.com to address any concerns or suggestions you may have. Thank you! response from property - Jun 26, 2018 Thanks for the review, Brian! We hope we are aiding in a positively memorable first-time-apartment-renter experience! Thank you for calling The Fairways home!